Clear win for Barça Lassa as they improved as the game went on in the 32-23 home win against Bidasoa Irún. After a bright start by the visitors, the home side took control before the break and in the second half they became increasingly dominant as they maintain their unbeaten start to the Asobal League season. The contest began worryingly for the blaugranes with Bidasoa having the best of the opening 10 minutes in which they established a two goal lead. However, Xavi Pascual’s team worked their way back into the game to earn themselves a 16-11 lead at half time. In the second half Bidasoa resisted stubbornly and Barça Lassa had to up their game to ease away from the visitors. 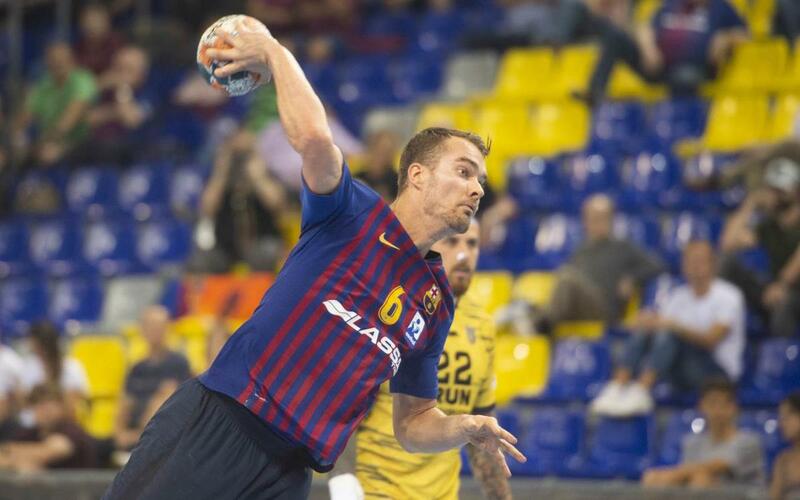 Möller was outstanding in goal for the blaugranes with the clash ending 32-23, giving Pascual’s team their fourth win in the league. The team’s next game will be on Saturday away at Kristianstad in week 3 of the VELUX EHF Champions League.